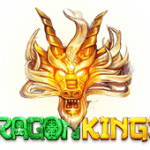 5 Sensational slots from Netent and Microgaming! 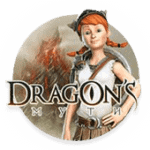 Netent and Microgaming tap Egyptian and Greek mythology, the Wild West, the Chinese Zodiac and fantasy in these next 5 slots. In Ancient Egyptian mythology, the scarab beetle represented the God Khepri who was believed to be responsible for renewing the sun each day. Wild Scarabs, from Microgaming, bases its name on this symbol as it presents the 5-reel and 243 ways to win slot with prizes of up to 104,000! Atop the opaque reels you can find classic higher-value thematic symbols like the God Anubis, God Horus, Ankh and Eye of Horus. The scarab wild replaces all but the scatter. This symbol in sets of 3, 4 or 5 can reward up to 150, 750 or 2,250 respectively. The sun disk, symbolic of the god Ra, is a scatter symbol that can credit up to 60, 120, 600 or 6,000 with 2, 3, 4 or 5 symbols anywhere. Three or more of these scatters will unlock 10 free spins. 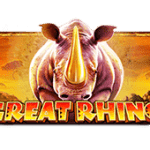 During the free spins, the Stashed Wilds feature runs in the background where non-winning wilds are collected until you reach three at which point they are distributed back onto random positions on the spaces to guarantee a win. 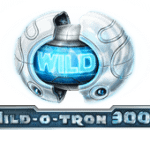 The free spins can continue until all the wilds have been endowed. The final feature is the Wild Deal triggered by a non-winning round where a wild had appeared on the third reel. In this feature, up to four additional wilds are added to random positions on the spaces for a guaranteed win. 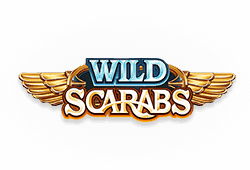 Play Wild Scarabs Bitcoin slot for free. Hot as Hades is a 5-reel and 20 fixed paylines slot, from Microgaming, which presents opportunities to collect up to 100,000 on a single spin. Hades, for those of you who don’t know is the Greek God of the Underworld and as it so happens the top-paying regular symbol. Following him, there is Zeus, Poseidon, Medusa and the Cerberus that are also higher-paying symbols. The big feature in this slot is the Quest for the Crystal Helm Bonus which is activated with 3, 4 or 5 crystal helmet scatter symbols. Your mission is to retrieve the helmet guarded by Hades’ brothers by completing 4 levels which will reward you handsomely. Watch out because there are obstacles in your path trying to stop you! We should also mention that 2, 3, 4 or 5 scatters will instantly credit you with up to 50, 100, 1,000 or 5,000. 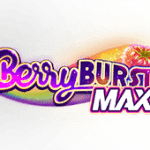 The next feature is the Super Mode which is randomly triggered, giving you 5 free spins to play with. Here, 3 spaces are chosen at random to contain wilds, with a further wild per spin possible, all of which remain sticky for the end of the feature. The slot also has a wild with 2x multiplier that can substitute for all the other symbols except the scatter symbol. It can form its own payline of 3, 4 or 5 symbols for up to 250, 1,000 or 5,000. 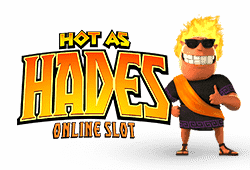 Play Hot as Hades Bitcoin slot for free. 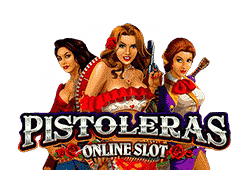 Pistoleras from Microgaming blends pistols, attractive women and a Wild West theme in a steamy 5-reel and 25 paylines slot where you can win up to 110,000 on a single spin. The story revolves around three, very beautiful and very deadly, gun-slinging females that make up the higher-value. The stagecoach is a scatter with 2, 3, 4 or 5 presenting you with up to 250, 500, 2,500 or 25,000. When 3, 4 or 5 coach scatters pull up to the spaces you automatically unlock 15, 20 or 25 free spins with a 3x multiplier. While in free spins mode, the three higher-value females can appear on reels partially or fully stacked. Free spins can be re-triggered when in free spins mode. There is also a money bag scatter that can appear on reels 3, 4 and 5. When all appear together you instantly unlock up to 500 and trigger the Saloon Bonus. In this feature you are presented with targets which you are invited to select, in order to reveal wilds or one of the women. Collect three of a kind to win corresponding prizes. Finally, the wild, with 3x multiplier, can substitute for other symbols except the scatter and bonus symbols. In combinations of 2, 3, 4 or 5 on a payline you can win up to 200, 1,500, 3,000 or 10,000. 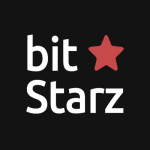 Play Pistoleras Bitcoin slot for free. 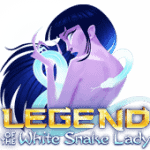 Lucky Zodiac, from Microgaming, is based on the Chinese Zodiac or Sheng Xiao. 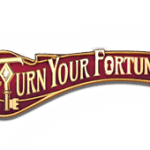 This is a 5-reel slot with up to 20 variable paylines and an opportunity to win up to 140,000. The upper-value symbols that include a Chinese lantern, hand fan, traditional ceramic pot and delicate water lily. 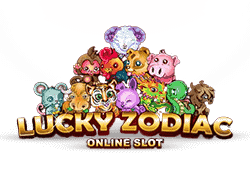 In terms of features, this slot has most of the most common ones starting with a Lucky Zodiac sign that acts as a wild which can replace all but the fire cracker scatter symbol. It can form payline wins of up to 50, 750, 5,000 or 15,000 with 2, 3, 4 or 5 symbols. Three or more scatter symbols in the base game will unlock 12 free spins with a multiplier of up to 7x, that can be re-triggered. Additionally, a new dog symbol is introduced to act as an extra wild substituting for all but the fire cracker scatter. This extra wild in numbers of 2, 3, 4 or 5 symbols on a payline will credit up to 25, 250, 750 or 5,000 with quantities of 2, 3, 4 or 5. 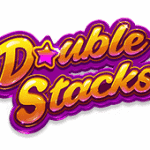 The final feature is the optional gamble where you can potentially double or quadruple your round winnings. Play Lucky Zodiac Bitcoin slot for free. Jumanji from Netent is based on the 1995 fantasy story, starring the late Robin Williams, about an enchanted board game that blurs the line between reality and fantasy with amusing and sometimes dangerous consequences. 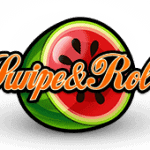 This theme has been adopted to create a 5-reel and 36 fixed paylines slot with prizes of up to 50,400 coins! The 3-4-5-4-3 row slot is presented atop the board game where you can find upper-value symbols like the lion, rhino, crocodile and pelican. The game boasts 4 random features: Sticky Vines, Monsoon Wilds, Monkey Mayhem and Wild Stampede. These features can promote free re-spins with sticky symbols, completely cover either one or two reels in wilds, shuffle symbols to guarantee a win or add between 4 and 9 wilds onto random spaces respectively. The Board Game feature is triggered by 3 or more scatter symbols appearing on any space which give you a shot at 6, 7 or 8 dice rolls. You can win 10 Vines free spins with Sticky Vine feature, 6 Monkey free spins containing the Monkey Mayhem feature, 5 Stampede free spins with the wild Stampede feature or the Mystery feature. The Mystery feature is triggered by landing on the corresponding board space, where you can win coins of 2x to 10x current bet or gain 2 extra dice rolls. 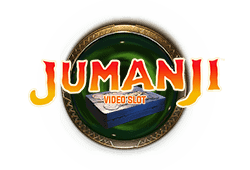 Play Jumanji Bitcoin slot for free.